Whether just getting started or expanding your business, the HPE OfficeConnect switching portfolio delivers a range of solutions. From unmanaged plug-and-play simplicity to advanced smart-managed solutions that offer enhanced security and performance, HPE OfficeConnect products support small business needs at every stage of growth. 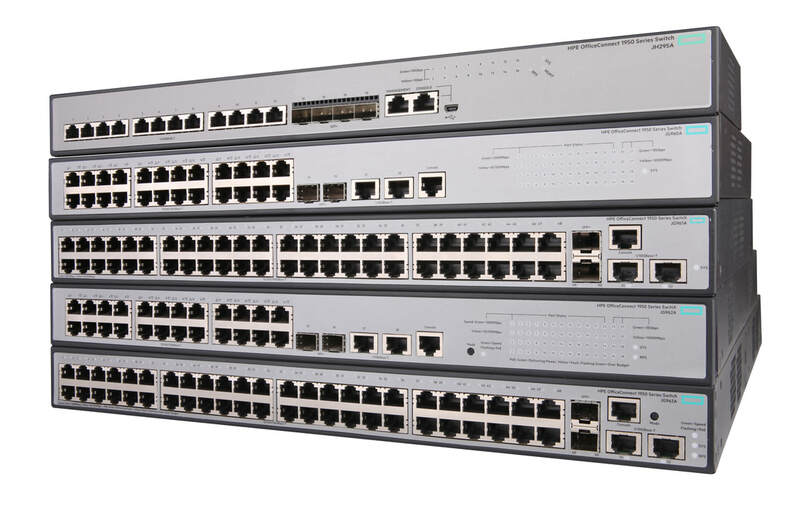 These switches are reliable, affordable, and easy to manage with little or no IT support needed. Ideal for small businesses looking for an entry-level Web-managed Gigabit Ethernet switch with basic features to enhance network performance and security without the added cost or complexity of more advanced switches. For small businesses looking for better network performance, reliability and security and deployment flexibility these smart-managed Gigabit Ethernet Layer 2 switches offer the latest energy-saving capabilities with simple administration. Optimized for small business efficiency and value these advanced Gigabit Ethernet smart managed switches offer a feature-rich, easy to manage network with Layer 3 static routing and enhanced Access Control List security. For small business environments that require increased speed and capacity these Gigabit and 10-Gigabit Ethernet basic smart managed switches offer an affordable 10-Gigabit network connectivity in an easy to manage solution. These stackable Gigabit and 10-Gigibit Ethernet (GbE) smart managed switches deliver an advanced 10-Gigbit network solution for demanding small business environments looking for performance, security, and network redundancy with Layer 3 static routing.